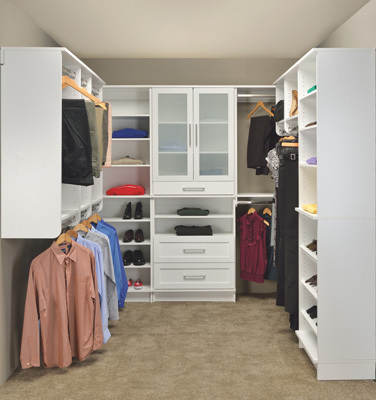 WoodTrac closet systems offer elegant, affordable organization solutions for your home. When you are planning to remodel your home, one of the areas you do not want to overlook are your closets. 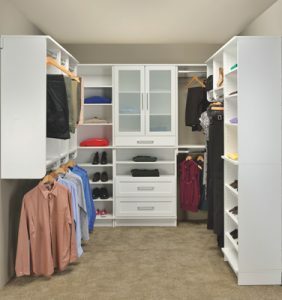 We recommend the WoodTrac closet system to our clients because it offers elegant yet affordable solutions that bring organization to both walk-in and reach-in closets. Using WoodTrac’s system of cabinets, shelving, and chrome hardware, we will work with you to customize your closets according to your needs and desires. The cabinets feature soft close doors, while the drawers are fitted with full extension drawer slides. Woodtrac Closet systems come in a variety of finishes, contour moldings, profiles and framed panels used in custom closets are included, with features like glass doors and 5-panel drawer construction. Soft-close door hardware is incorporated. We are a family run company that will ensure quality throughout each step of the project. We are local to Charlotte North Carolina and just on the border in near Fort Mill, South Carolina. ©2019 Advanced Kitchens & Bath Design | Website Design & SEO by MBK Ventures LLC.